Three men have been found guilty for their involvement in the £14 million Hatton Garden heist, the largest burglary in English legal history. William Lincoln, 60, Carl Wood, 58, and Hugh Doyle, 48, have been convicted over of last year’s April raid in which the thieves planned a “sophisticated” break-in. Wood and Lincoln were found guilty of conspiracy to burgle, while Doyle was convicted of conspiracy to conceal, convert, or transfer criminal property. A fourth suspect, Jon Harbison, was cleared of involvement. 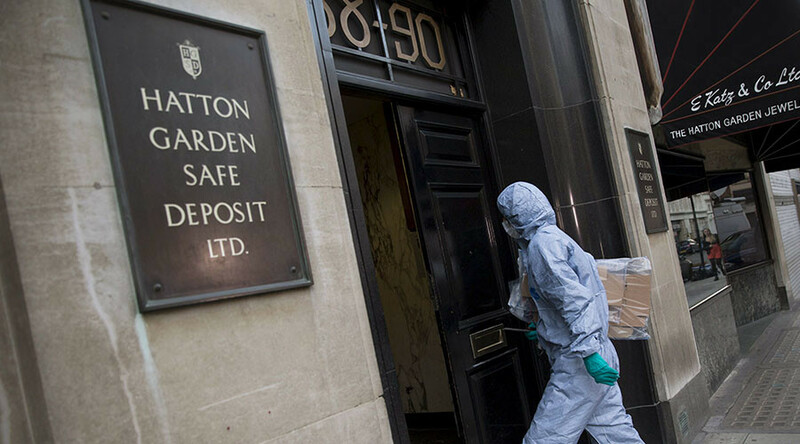 Valuable goods worth up to £14 million were stolen when the criminals broke into Hatton Garden’s Safe Deposit. Barely a third of the stolen goods have been recovered, according to the Daily Mirror. John Collins, 75, of Islington; Daniel Jones, 58, of Enfield; Terry Perkins, 67, of Enfield; and Brian Reader, 76, of Dartford, all pleaded guilty to conspiracy to commit burglary at an earlier hearing. All of those found guilty will be sentenced together on a date to be confirmed. During Thursday’s trial, the jury also heard that the gang’s leader, Reader, was a former top lieutenant for crime boss Kenneth Noye. He was previously charged with murdering a police officer, but was cleared three decades ago.